His unparalleled achievements are a source of wealth for college and high school students. 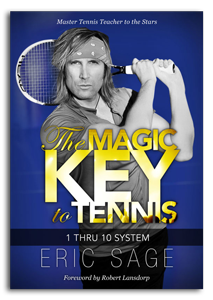 Eric is available for private tennis lessons, online tennis video analysis, motivational speaking, corporate seminars, business consulting, and charity events. Cost: My normal fee is $150 per hour, and $75 per 30 minutes. I do offer a sliding scale for those in financial need.